Pennsylvania's Finest Spotlights local businesses in Western Pennsylvania. We are affiliated with WTAE channel 4 in Pittsburgh, Pa. The show was created by Tru2Films,LLC Television and Video Production. The show will highlight businesses from 3 to 5 star ratings. Plus your local businesses like car dealerships and Bakerys. All the great stuff that Western Pa has to offer will be on this show. From daylight activities to the Nightlife. Pennsylvania's Finest will be reporting to you all the best and exciting places to vist in Western Pennsylvania. Get to know Pittsburgh, Pa.
Pittsburgh (/ˈpɪtsbərɡ/ pits-burg) is the second-largest city in the U.S. state of Pennsylvania with a population of 305,842 and the county seat of Allegheny County. The Combined Statistical Area (CSA) population of 2,659,937 is the largest in both the Ohio Valley and Appalachia and the 20th-largest in the U.S. Pittsburgh is known as both "the Steel City" for its more than 300 steel-related businesses, as well as "the City of Bridges" for its 446 bridges. The city features 30 skyscrapers, 2 inclines, a pre-revolutionary fortification and the source of the Ohio River at the confluence of the Monongahela and Allegheny Rivers. This vital link of the Atlantic coast andMidwest through the mineral-rich Alleghenies made the area coveted by the French and British Empires, Virginia,Whiskey Rebels, Civil War raiders and media networks. Aside from steel, Pittsburgh has led innovations in aluminum, glass, shipbuilding, petroleum, foods, sports,transportation, computing, autos, and electronics. This creative wealth placed Pittsburgh behind only New Yorkand Chicago in corporate headquarters employment, second to New York in bank assets and with the most U.S. stockholders per capita for much of the 20th century. America's 1980s deindustrialization laid off area blue-collar workers and thousands of downtown white-collar workers after multi-billion-dollar corporate raids relocated the longtime Pittsburgh-based world headquarters of Gulf Oil, Sunbeam, Rockwell and Westinghouse. This status as a global industry center, its melting pot of immigrant workers, and top-10 rank among the largest U.S. cities until 1950 and metro areas until 1980 left the area with renowned museums, medical centers, parks,research centers, libraries, a vibrantly diverse cultural district and the most bars per capita in the U.S.
Tell us how were doing.. Copyright © OndaeMarketing.com 2015. All Rights Reserved. Western Pennsylvania refers to the western third of the state of Pennsylvania in the United States. 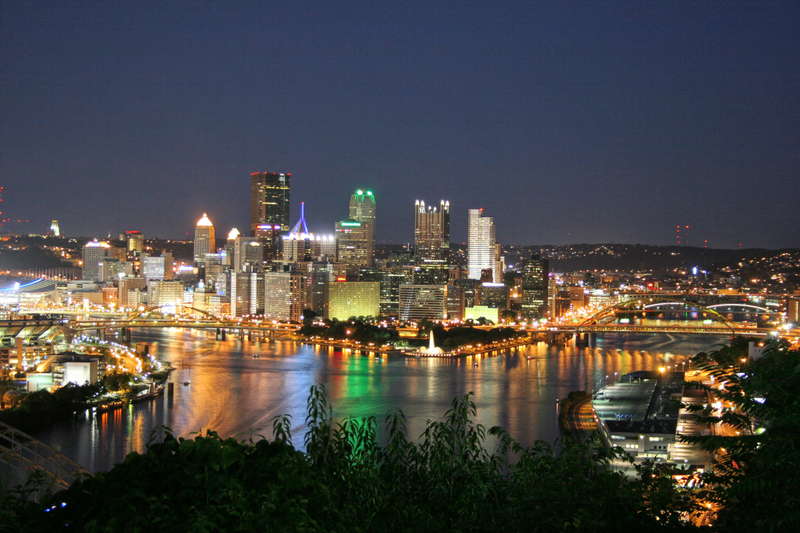 Pittsburgh is the region's principal city, with a metropolitan area population of about 2.4 million people, and serves as its economic and cultural center. Erie, Altoona, and Johnstown are its other metropolitan centers. As of the 2010 census, Western Pennsylvania's total population is nearly 4 million. Although the Commonwealth does not designate Western Pennsylvania as an official region, since colonial times it has retained a distinct identity not only because of its geographical distance from Philadelphia, the beginning of Pennsylvania settlement, but especially because of its topographical separation from the east by virtue of theAppalachian Mountains, which characterize much of the western region. In the 18th century, this separateness caused some to rally for the formation of a 14th state in this region named Westsylvania. The strong cultural identity of Western Pennsylvania is reinforced by the state supreme court holding sessions in Pittsburgh, in addition to Harrisburg and Philadelphia. Bring a big appetite when you come to Deluca's Diner, a local spot known for its large portions and classic American cuisine.